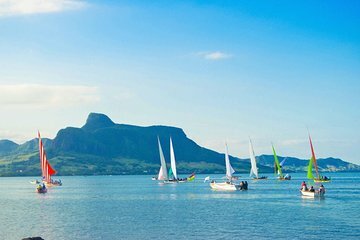 Escape the crowds and explore lesser-visited locations on this adventure-packed guided tour of eastern Mauritius. Highlights include a glass-bottomed boat cruise through Blue Bay Marine Park, a snorkeling expedition in crystal-clear, wildlife-filled waters, and a visit to the National History Museum of Mauritius, where you’ll learn about the island’s colonial past. Tours include door-to-door transfers and lunch.